In some non-Iron Painter related news, the last of my Kickstarter backer rewards from supporting the Boss Monster Digital Kickstarter finally arrived in the form of this Paper & Pixels mini-expansion! This expansion was designed to be for the digital game, but they printed physical copies for the backers who backed at a high enough level. 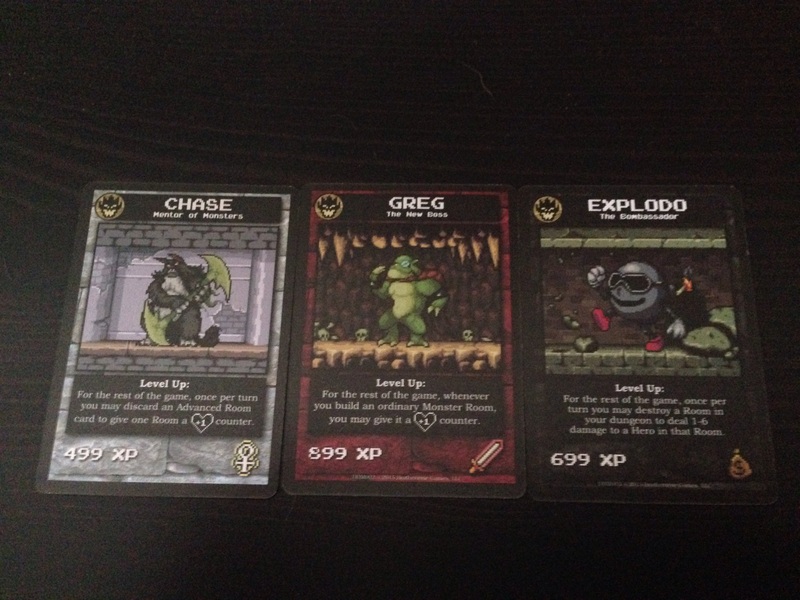 This mini-expansion comes with three new bosses who all have Level Up abilities that can be used once per turn. Having read some of the comments from the game designers they said they felt the Level Up abilities of the original bosses seemed a little underwhelming; it sounds like when the upcoming Boss Monster 2 game comes out, the bosses in that will follow more closely to this newer idea. 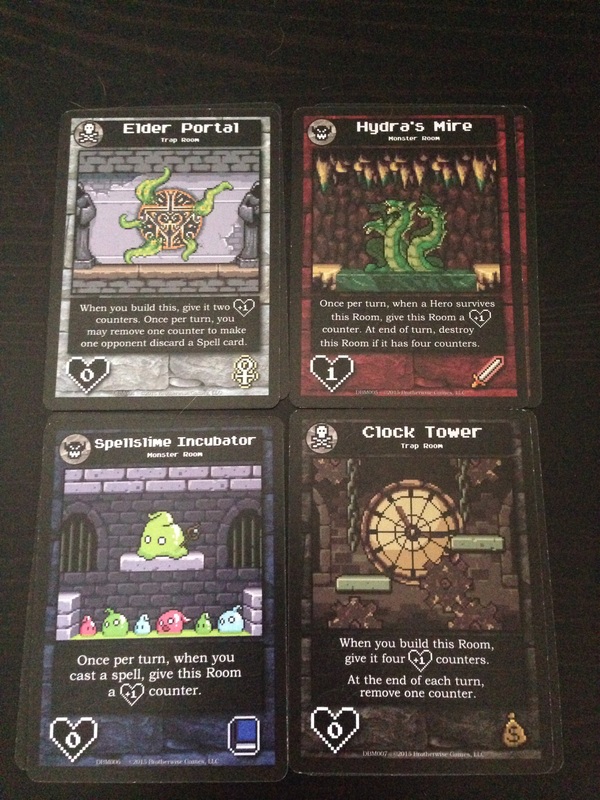 This set also comes with four new rooms (two copies of each) which have the fun new mechanic of adding +1 counters to rooms, an ability that two of the new bosses also have. The new Fireball! spell seems pretty cool and introduces a random damage mechanic to the game (which the new boss Explodo gets to use too) and appears to utilize the “Epic Spell” mechanic coming in Boss Monster 2 where a spell can be more powerful under certain circumstances. 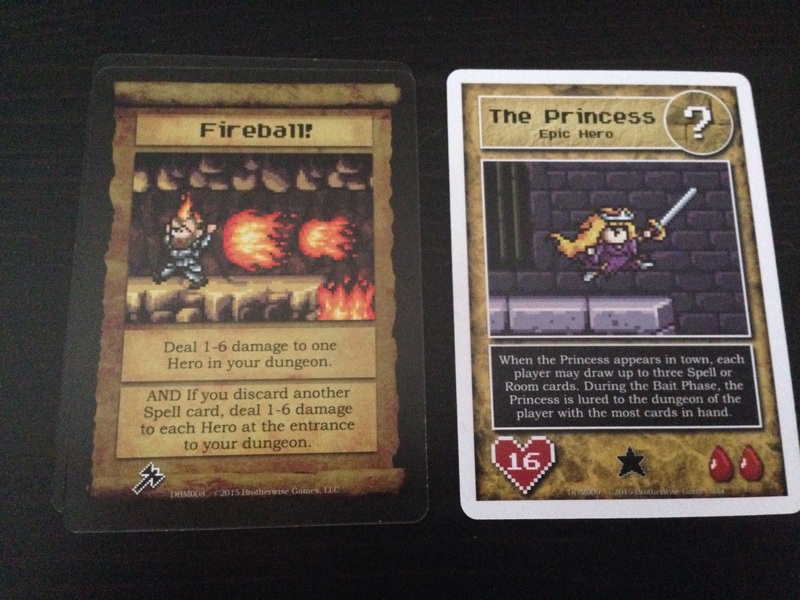 Also included in this pack is a truly badass Epic Hero–The Princess!! Overall this pack isn’t anything to completely crazy or game changing, just a fun little pack with some cool new mechanics that I anticipate seeing in Boss Monster 2. I’m still waiting for this mini-expansion and the Tools of Hero Kind expansion to go live on the digital game, but hopefully it won’t be too much longer. Unfortunately if you didn’t back the Kickstarter on this one the only way to get your hands on these cards is through Ebay and it looks like they are going for some exorbitant prices at the moment.